In a beachfront enclave north of Boston, the battle has been waged with harsh words, pricey lawyers, and smelly porta potties. For nearly 25 years, Evan Wile has been trying to build on his waterfront land (sandy lot at right), while Jeffrey Horvitz, his neighbor on the property next door (left), has been trying to stop him. 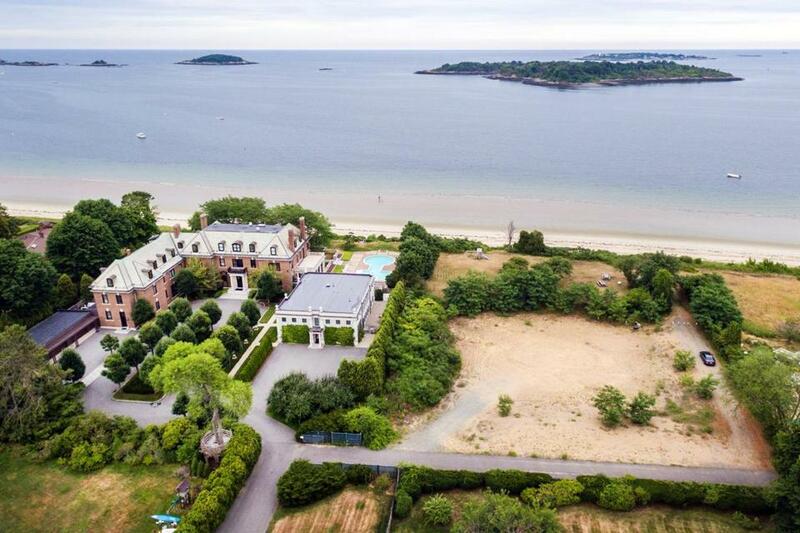 TWENTY-FIVE YEARS AGO THIS SUMMER, a few dozen people gathered at an oceanfront estate in Beverly Farms with breathtaking views of the Atlantic and Great Misery Island in the distance. The three-story, 18,000-square-foot mansion, a jewel of the Massachusetts Gold Coast, oozed history through its handsome brick facade. It had been built in 1910 for Mary Leiter, the widow of a Marshall Field cofounder — and in a hurry. She wanted the estate she’d dubbed Edgewater ready for President Taft’s annual visit to Beverly, where the corpulent commander in chief had his summer White House. In 1950, the property was bought by the family behind another storied business, the Ames Shovel Company. In the crowd was a 41-year-old by the name of Jeffrey Horvitz, an art dealer and scion of a wealthy Ohio family. Embroiled in a bitter divorce from a former “Golddigger” dancer for Dean Martin’s show, Horvitz was relocating from Florida and looking for a fresh start. He and his estranged wife had two young daughters, one of whom was disabled. They had agreed to move to separate homes in the Boston area, largely because of the quality of its schools and medical facilities. Also in attendance was another 41-year-old, a self-described townie from Weston named Evan Wile. He had learned the construction trade from his father and was enjoying success as a developer of luxury homes who was willing to swing for the fences. He was living in a Charlestown condo with his fiancee, and together they were scouting for their dream home. Getting along with the people next door isn’t always easy, and extreme situations sometimes happen. As much as this seaside mansion with the rarefied Edgewater moniker could be had for a steep recessionary discount, the bidding quickly became too rich for Wile’s blood. Horvitz won the 3-acre property, plus its roughly 1.2-acre private beach, for just shy of $1.8 million. The following spring, as Horvitz poured some $875,000 into renovating his new home, Wile returned to the scene for a second auction. This one was for property that years earlier had been part of Edgewater: an abutting 1.8-acre vacant lot with its own 1.1-acre private beach. Horvitz was out of town that day but sent his attorney with clear instructions: He wanted that property. But because Horvitz believed zoning regulations made it an unbuildable lot, he told the attorney to bid no more than $330,000 for it. Wile and his fiancee, Lorena Nolan, had fallen in love with the location, but he braced for more disappointment, assuming he’d be priced out of the action once again. The bidding steadily climbed. As it reached $330,000, Wile told himself this would have to be it and lifted his hand for another $5,000. To his astonishment, Horvitz’s attorney didn’t raise him. Ecstatic, Wile called his fiancee at work. “We got it!” The sale went through on June 19, 1992. A week later, the Wiles got married. A year later, Lorena delivered their first child, a baby girl, followed by a second daughter two years after that. 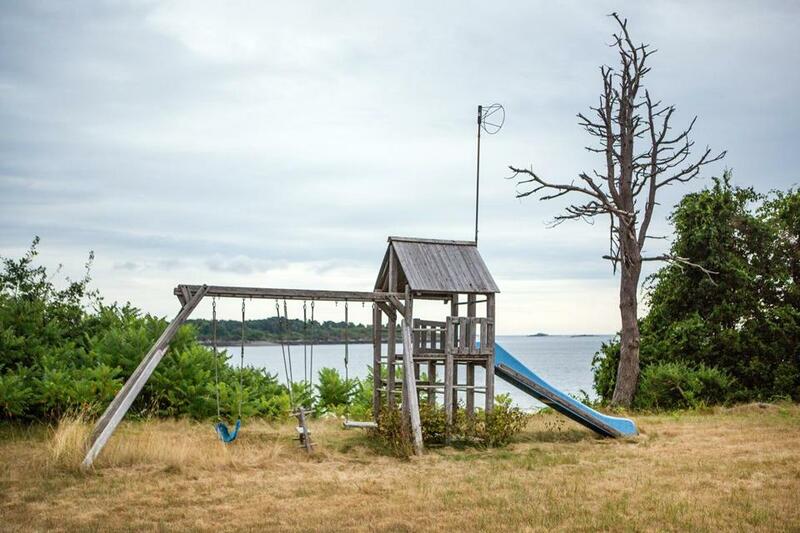 The Wiles erected one of those top-shelf wooden swing sets in the grass overlooking their beach. It would at least allow the girls to enjoy the property while Evan and Lorena pushed ahead for permission to build a house. Today, almost everything about the Wile and Horvitz families has changed. One of the only constants has been that swing set. It now sits unused, the grass beneath it overgrown. The little Wile girls are adults, the older having graduated from college in May. Two other constants: Wile has still been unable to build on his lot, and relations between him and Horvitz remain as toxic as a beaker of botulinum. Over more than two decades, Wile and Horvitz have waged their unrelenting battle, wielding all manner of weapon — lawyer, helicopter, even porta potty. Their disputes have clogged court dockets at every level of a groaning and sometimes glacial judicial system, trying the patience of judges while racking up millions in legal fees and fines. The intensity and stakes of neighbor disputes, particularly between wealthy combatants, can get so high that they either go on endlessly or end in literal destruction. One party might go bankrupt. Or die. 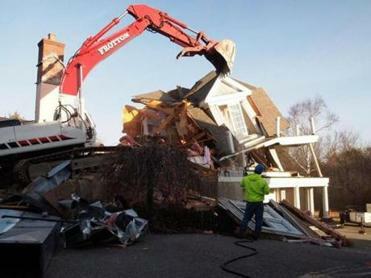 Or, in rare cases, be ordered to tear down a very expensive house, as happened in 2012 to a 5,000-square-foot Georgian overlooking Marblehead Harbor. Yet the epic Beverly Farms battle between Evan Wile and Jeffrey Horvitz stands in a class of its own. It just may be the oldest residential case still active today in Massachusetts Land Court. And it, too, could eventually end with a wrecking ball, though not, of course, on Wile’s unbuilt lot. In an ironic twist, it is Horvitz’s building, in which he houses one of the world’s finest collections of 17th- to 19th-century drawings by French masters, that could end up being demolished. Horvitz and Wile are awaiting a Land Court judge’s decision from a trial held last year. Whatever happens, both men agree — and this is perhaps the only thing on which they agree — that the judge’s decision won’t be the end. 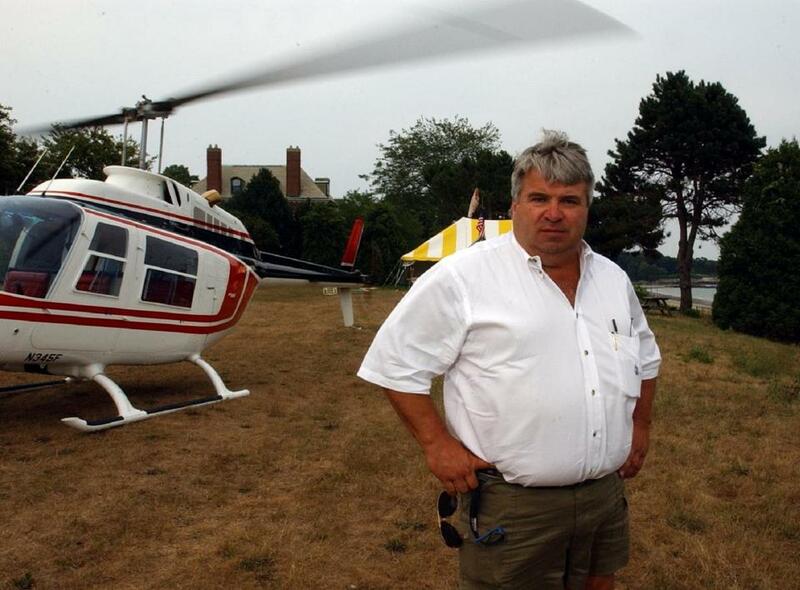 Developer Evan Wile, who is also a pilot, on his property in a 2002 Globe photo. Instead of seeing his friendly tone returned in kind, Wile detected only iciness from Horvitz, who warned Wile he would never get a permit to build. Wile decided to pivot. “Jeffrey, I’m a businessman. Make me an offer.” It was no secret that Wile’s winning bid had been $335,000. So when Horvitz offered to take it off his hands for well below that price, Wile knew he was in trouble. Horvitz wasted no time in firing the first legal shot of the battle. Wile could access his property only by way of an easement, put in place by the previous owners, on Horvitz’s private road. 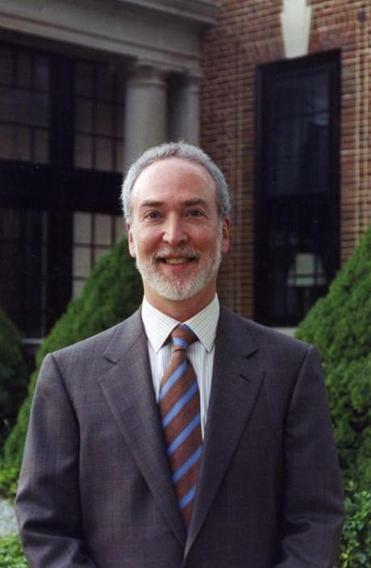 Through his Edgewater Realty Trust, Horvitz filed suit in Land Court to challenge the easement’s validity. The lawsuit tied Wile’s hands for almost five years, until the judge ruled that his easement was valid. Horvitz appealed. That took another year, and more legal fees, before the Appeals Court upheld the decision. Horvitz tried to take his case to the Supreme Judicial Court, but the state’s highest court declined to hear it. 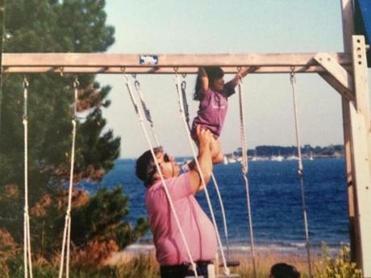 Evan Wile helping one of his daughters navigate the monkey bars in the mid-1990s. It was the spring of 1996, with the legal challenges percolating, when the Wiles decided to put up the swing set for 2-year-old Alex and her 6-month-old sister, Alyssa. “They loved it,” Wile says. “But Horvitz challenged it. He called it a ‘structure.’ ” Good Lord, Wile thought, will this guy stop at nothing? Wile had also heard from people in Beverly City Hall that Horvitz had his lawyers calling the Building Department every week or so to see if Wile had submitted a permit request. Horvitz began making noise about the Wile property not having sufficient street frontage to be granted a building permit under the city’s ordinances, updated in 1975. Wile knew his frontage fell well short of the required 175 feet — unless he could count his frontage along Horvitz’s private road. But Wile also knew that the previous owners had been granted a permit to build a house on his lot, so logic told him he should get one, too. In 1999, seven years after buying the property, Wile got what he had long desired: the building permit. He and Lorena could build their 11,000-square-foot dream house, with handsome turrets and dozens of windows to make the most of the sweeping ocean views. And they had something more than just a permit signed by the building inspector. In a letter supporting Wile’s case, Beverly City Solicitor Marshall Handly wrote that, based on the previous easement decision, the permit could “not be withheld on the basis of insufficient frontage.” Wile figured he was golden. Of course, the dispute didn’t stop there. Horvitz challenged the building permit with the city’s Zoning Board of Appeals, which overruled the city’s building inspector and its top lawyer and revoked the permit on frontage grounds. Wile returned to Land Court to appeal the denial. Feeling increasingly powerless, Wile decided to fight back with some street justice. He dumped piles of rusted scrap metal, a crane bucket, and other construction debris along the property line where it would be in view of Horvitz’s pool. He hauled in an unsightly shipping container, and after Horvitz installed shrubs and then a fence, Wile simply piled the junk on top of the container. At one point, Horvitz filed a complaint accusing Wile of exposing himself to him — “like I was mooning him,” Wile says, “but I was able to produce receipts showing I was on the Vineyard that day.” Wile filed his own complaint, accusing Horvitz of assaulting him, though Horvitz insisted he had just tapped Wile on the shoulder. Neither complaint went anywhere. Many years into the fight, Wile and Lorena gave up on their lot being the place where they would raise Alex and Alyssa and instead built a deluxe 12,000-square-foot home in Weston. Yet they were determined to continue making use of the Beverly property. Lorena grew up in Revere, and she and her husband would regularly invite relatives and friends to parties on their beach, which in turn would regularly elicit complaints from Horvitz. It got to the point where Wile would send his lawyer photos he took of Horvitz taking photos of him. Wile doubled down, lining up several porta potties along the property line, which generated foul odors that Horvitz said wafted into his pool area. Wile had secured the right to land his helicopter on the property, but Horvitz accused him of kicking up debris during takeoffs and landings, sometimes hitting his family while they were in the pool. The swing set as it looks today on Wile’s property. In 2001, Horvitz sued Wile in Essex Superior Court for nuisance, and two years later the court agreed that Wile’s actions were designed to aggravate his neighbor. The SJC upheld the nuisance ruling in 2006, though it reduced the amount Wile had to pay Horvitz. Still, the total damages and interest came to more than $500,000. Wile borrowed money and cut a check, but even that didn’t resolve the matter. Horvitz’s camp refused the payment, as interest at 12 percent continued to accrue, until Wile’s lawyer got a court order forcing Horvitz to accept the money. By this point, Wile had also lost his Land Court case on the revocation of his building permit, prompting him to fight on in the Appeals Court. There were many other legal skirmishes — about frontage and firetruck access, subdivisions and legal standing, whether trees can be removed and access gates left closed. In 2007, 15 years after he had bought the property, Wile tried a different route. He entered into an oral agreement with a man named Charles Benevento, whose mother lived nearby. Benevento would apply for his own building permit for Wile’s land, and if the permit came through, he would pay Wile $3 million for the property. Maybe, Wile figured, Horvitz would give up his fight if he knew someone besides him would be moving in next door. But the city denied the Benevento request, and subsequent appeals were unsuccessful. “Basically, he doesn’t take no from anybody, including the court system. . . . For four years he made our life a living hell,” says Jeffrey Horvitz (above) of Evan Wile. Jeffrey Horvitz arrives at our meeting in the lounge of a Boston hotel clutching an accordion folder stuffed with chronologies and copies of documents. He knows I have already met extensively with Evan and Lorena Wile, and he wastes no time in trying to replace their narrative with his own. Horvitz doesn’t remember much about that first conversation with Wile, other than Wile’s “superhuman handshake.” But he recalls Wile offering to sell him the lot for $500,000 and his countering for not much more than the $335,000 Wile had paid at auction. It was unbuildable, Horvitz says, so it wasn’t that valuable. Horvitz interpreted this statement (which Wile tells me he doesn’t recall making) as a rare moment where his neighbor lifted the veil on his true intentions. From the start, he viewed Wile as a savvy developer who knew how to scoop up problematic lots for a steal and then push for a permit so he could cash in big. Wile’s statement seemed like an admission that his hunch was right. It’s true that the previous owners had been granted a grandfathered permit in the 1980s to build a house on the lot Wile would later buy. But, Horvitz argues, Wile must have known that he couldn’t expect a similar allowance. Horvitz saw Wile’s purchase as simply another crafty chess move, one he was determined to block at all costs. After all, if this property had truly been the place the Wiles had wanted to build their dream home, why had Wile been so quick to offer to sell it to him for a profit during their very first conversation? A man of slight build, with a beard and head of receding hair, both on their way to all white, Horvitz is now 66, just like Wile. He says that across the decades, he’s won most of the battles of real significance in the neighbor feud. The biggest exceptions are those initial easement cases, which he now accepts he should have lost, and the initial granting of Wile’s building permit, which he has a theory to explain (we’ll get to that later). Horvitz argues that there’s been wide consensus from the courts and the city since then that Wile’s permit should have never been issued. In Wile’s bombardment, Horvitz saw only one aim: to wear him down. “The idea is, basically, wealthy people, rather than be bothered, will just pay you to go away.” If Wile had thought that strategy was going to work with him, Horvitz says, he should have checked first with Monroe Inker. The legendary Boston divorce lawyer had represented Horvitz’s first wife, Linda, in their ugly divorce and custody case. Horvitz had met Linda in 1972 after her dancing career for Dean Martin had ended and she was the real estate agent on a Los Angeles apartment he was interested in leasing. They married the following year, moved to Florida, had two daughters, separated in 1989, and divorced in Florida in 1991. Not long after that, Inker succeeded in getting the divorce reopened in Massachusetts to try to get a better settlement for Linda. Horvitz accuses the late divorce attorney of attempting to force him to pay up by dragging him through the mud in the media, including a tabloid expose on the show Hard Copy. “He found eventually that was not the best way to get at me,” Horvitz says. The divorce case was ultimately settled, but Horvitz says for no more than the additional sum he had originally offered after Inker revived the case. Horvitz began dating his current wife, Carol, when he was still living in Florida, and Edgewater became the home of their blended family, including Carol’s son and Horvitz’s daughters. The couple married in 2001, after Horvitz’s prolonged divorce was finally finished. The three children are grown now and out of the house, including his youngest daughter, whose disability hasn’t held her back from pursuing a dual master’s degree. That leaves the mansion to Horvitz and Carol and their dog, a papillon named Frago (after 18th-century French painter Jean-Honore Fragonard). Horvitz, it turns out, is unafraid of drawn-out court battles. His family was riven by one after his father and two uncles sued each other over their father’s construction and media empire. That nasty fight led to the sale of the company in the mid-1980s. Around that time, Forbes estimated that each brother ended up with a net worth of about $260 million, a figure Horvitz does not dispute. Wile likes to refer to Horvitz as a multi-billionaire, but Horvitz refuses to reveal his net worth. After earning two master’s degrees, Horvitz abandoned his PhD work in the sociology of psychiatry to become a full-time art dealer. But his primary job has for many years been as an investor with his family firm, Moreland Management Company. Horvitz says he and his brother run the family office together — their father, Leonard, remains actively engaged at age 93 — and he notes with pride that they represent the third generation to substantially grow the family’s financial holdings, over and above inflation. So even assuming an extremely conservative 5 percent average return over the last three decades (lower than likely, to compensate for fees, taxes, and expenses), the holdings of his family office should be comfortably north of $1 billion today. And Horvitz was incensed when he learned which attorney was representing Benevento in the appeal of his denied building permit: Marshall Handly. Although Handly was then in private practice, in 1999 he had been Beverly’s city solicitor, the same one who wrote the letter advising the building inspector to grant Wile the permit. Horvitz subsequently learned that Handly had interacted with Wile even before he had become the city solicitor. Handly says he stepped away from the Benevento project after Horvitz filed complaints about him with both the state Board of Bar Overseers and Ethics Commission, even though he stresses he did nothing wrong and both complaints were dismissed. 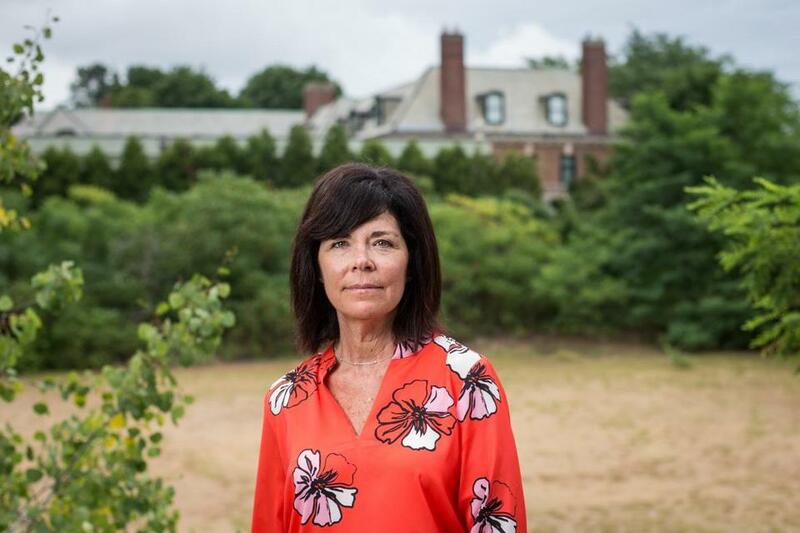 Lorena Wile on the Beverly property, which now primarily belongs to her, with the Horvitz home in the background. Lorena Wile, with sunglasses covering much of her tanned face, walks the upper portion of her Beverly property, pointing out a large sandy area. “This would have been the foundation,” she says, flashing a friendly, slightly apologetic smile. The topography suggests it had been modestly excavated long ago, in preparation for something big that never happened. With her younger daughter, Alyssa, we walk toward the water, stopping in the grassy area that would have been the home’s seaside back lawn. There are a couple picnic tables and a motley collection of old beach chairs. But the view of the private beach below is stunning, the water clear blue and seaweed free on a brilliant summer day. So much has changed since then, says Lorena, who is now 52. Alyssa, 20, will be heading into her junior year at Quinnipiac College, while 22-year-old Alex just graduated from there and is starting a nursing program in Boston. Alyssa ended up moving from horse swing to real horses, becoming an accomplished equestrian. Occasionally, she’s had encounters with Horvitz that gave her deeper appreciation for how he managed to get under Evan’s skin. Two summers ago, for instance, she was hosting a family beach party for her niece’s first birthday and had attached a pink balloon to Horvitz’s stone pillar, so her guests wouldn’t miss the turn from the main road onto the easement leading to her property. She was happily chatting with her relatives when she spotted a stern-faced Horvitz marching toward her, holding his dog in one hand and, in his other, the pink balloon. “This isn’t supposed to be here,” he barked. Lorena, nonconfrontational by nature, immediately began to apologize. Then, embarrassed to be scolded by her neighbor in front of her relatives, she caught herself and changed her tone. “I have never disrespected you,” she snapped. In reality, though, these days it is. MORE FROM MAGAZINE: What’s it like to be poor at an Ivy League school? She and Evan separated in 2008, and the divorce was finalized in 2010. The following year, she spent eight months on dialysis for a rare autoimmune disorder. After she received a kidney transplant — her brother donated one of his — she rebounded. Today she is healthy, looking and feeling like her old self. The money pit of legal costs, combined with a recession that was particularly punishing for developers, ended up hobbling the Wiles’ finances by the time of the divorce. They sold their Weston trophy home, and Lorena has for the last few years been renting a house in Ipswich. (Evan lives with his girlfriend.) As part of the divorce order, Evan was supposed to pay her $4.6 million. However, because of the family’s liabilities and Evan’s apparent inability to pay, she was awarded as security the full beneficiary interest to their trust that owns the Beverly property (and for which Evan serves as the sole trustee). If a sale goes through, she would receive 75 percent to her ex-husband’s 25. There is one provision that has drawn special interest from Horvitz. He has stressed it in conversations with Lorena (and with me, handing me a copy of the Wile divorce document after warning he would fight me if I tried to get his impounded divorce settlement released). Although the Wile divorce stipulates the 75/25 split of the proceeds from a sale of the Beverly property, Horvitz says his reading of the document suggests Lorena should actually receive 100 percent. Lorena concluded that advice wasn’t exactly magnanimous. In court filings, Horvitz attempted to use the divorce document as grounds to argue that Evan no longer had legal standing to pursue the case. If Horvitz had been successful with that move — he wasn’t — that could have started the court process all over again. When I later ask Horvitz about that, he flashes an incredulous look. “How would she know what my father said?” he asks. “Well, did he give you that advice?” I reply. Horvitz built this 6,500-square-foot addition, which houses his world-class art collection, despite the risk that a legal decision could force it to be torn down. Sander Rikleen gazes out the 31st-floor window of his downtown Boston law office and then sighs wearily. I’m not sure how many of the issues I had raised with him triggered the sigh — the duration of the case, the toll on his clients, or just the mention of the name Jeffrey Horvitz. Probably all three. Definitely the last one. Rikleen may have been out of options by now were it not for a bold gambit Horvitz undertook beginning in late 2008, applying for permission to add on to his home. This would not be any old addition, but a two-story, 6,500-square-foot wing that would hug the property line with the Wile lot. 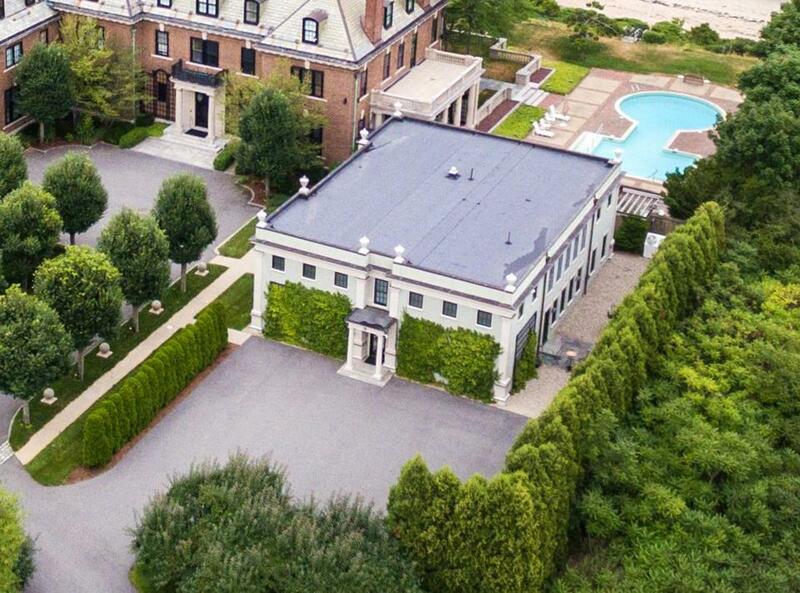 The million-plus-dollar structure would mainly be a gallery to house Horvitz’s world-class art collection, but also have some office space, allowing his handful of staffers to move out of the third floor of his mansion and give him and his wife some additional privacy. After the city approved Horvitz’s request, Wile challenged it, sending the case back to Land Court. In 2009, the city issued Horvitz a building permit anyway, noting he could build “at risk” that the court would overturn the approval. Horvitz rolled the dice, and within a year, crews completed construction. For Rikleen and the Wiles, there was some sweet satisfaction in reading those words. However, what they really wanted was permission for them to build, not a ruling that neither side could. And, here, the judge offered a ray of hope. He stayed the demolition order for the art gallery and, after some more legal jousting among the combatants, ended up with the case back in his court last year. We are now approaching the one-year anniversary of closing arguments in that trial. Long’s decision is expected soon, though there’s no set deadline. If the judge rules that both Horvitz and Wile are entitled to their building permits, Horvitz says he will most likely press on to the Court of Appeals. And if he loses there, he can again try to take his case to the state’s highest court. If Long goes the “pox on both your houses” route, both sides would have an incentive to appeal. But because the judge’s earlier decision seemed to encourage compromise, a decision against both might well include some flexibility that could incentivize a settlement. If Horvitz is forced to contemplate the disruption and expense of knocking down his art gallery, he might well take the advice that his father may (or may not) have given him and settle this thing once and for all. A logical starting point could be the $3 million Wile had agreed to accept from Charles Benevento nearly a decade ago. When I ask Horvitz what he thinks the chances are that his art gallery will fall to a wrecking ball, he replies, “I think it’s unlikely, but stranger things have happened.” Presumably, if the judge rules it has to come down, Horvitz would be more likely to begin serious settlement discussions. But he insists he would still have leverage over the Wiles. If they are as financially stretched as they claim to be, he says, they’d probably need to recoup at least some of what they’ve put into a lot that would have by then been declared unbuildable. What are they going to do, Horvitz asks, hold out until they can’t get anything for it? Although opposing parties in legal cases often try to one-up each other in terms of how they’ve suffered, Jeffrey Horvitz and Evan Wile take the opposite approach, each proudly insisting to me that the other has been hurt more by the standoff. Each man goes to great lengths to paint the other as being so unlike him as to be almost of a different species. But it’s worth noting that in multiple conversations with both men, each uses the same language — “unreasonable,” a “bully” — to describe the other. It’s fitting that both men were born in 1950, the same year that director Akira Kurosawa’s Rashomon was released. In the 66 years since, this classic film about competing narratives has become shorthand for describing the subjectivity of truth. But in his autobiography, Kurosawa wrote that Western audiences had largely missed his main message. The film isn’t really about the subjectivity of truth, the director explained. It’s about the corrosive sin of egoism. If, to feed our own ego, we remain so wedded to our version of the story, we kill our ability — and even our desire — to know the real truth. If Judge Long is interested, Rashomon is currently available on Hulu. ■ Where did ISIS come from? The story starts here.